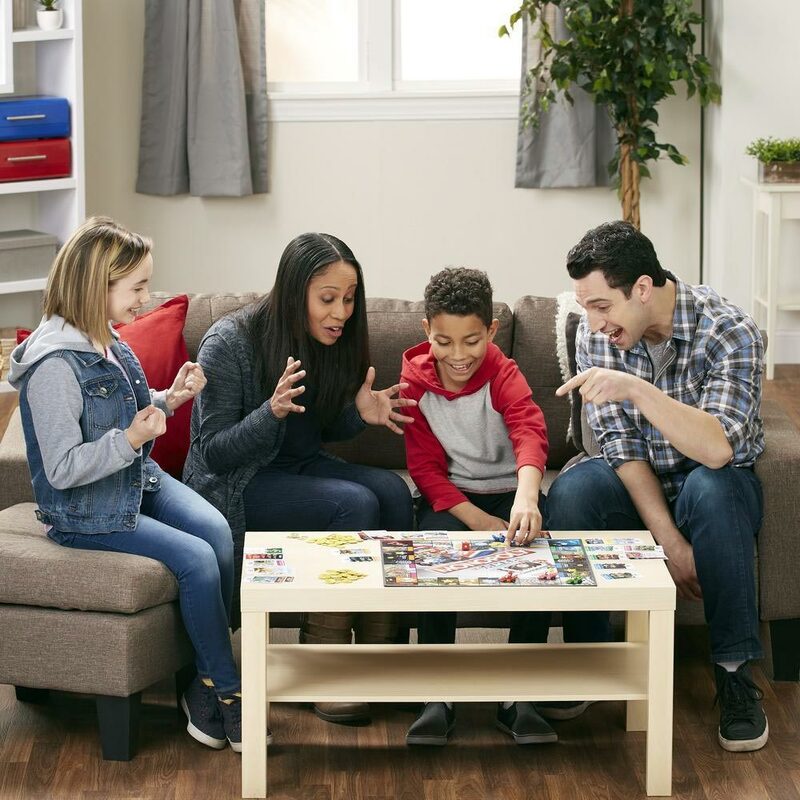 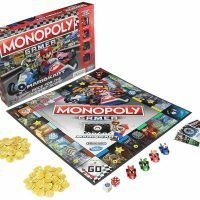 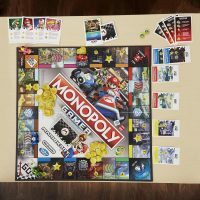 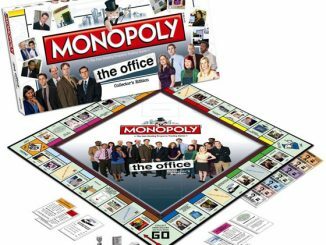 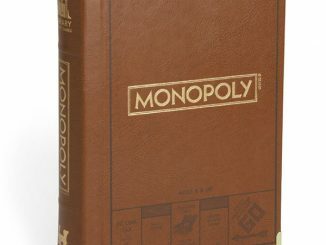 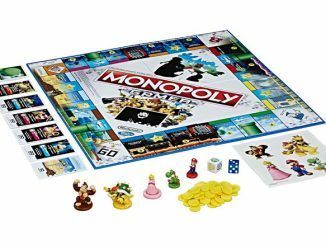 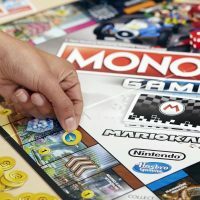 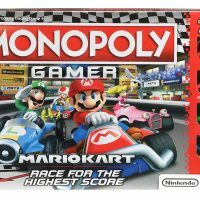 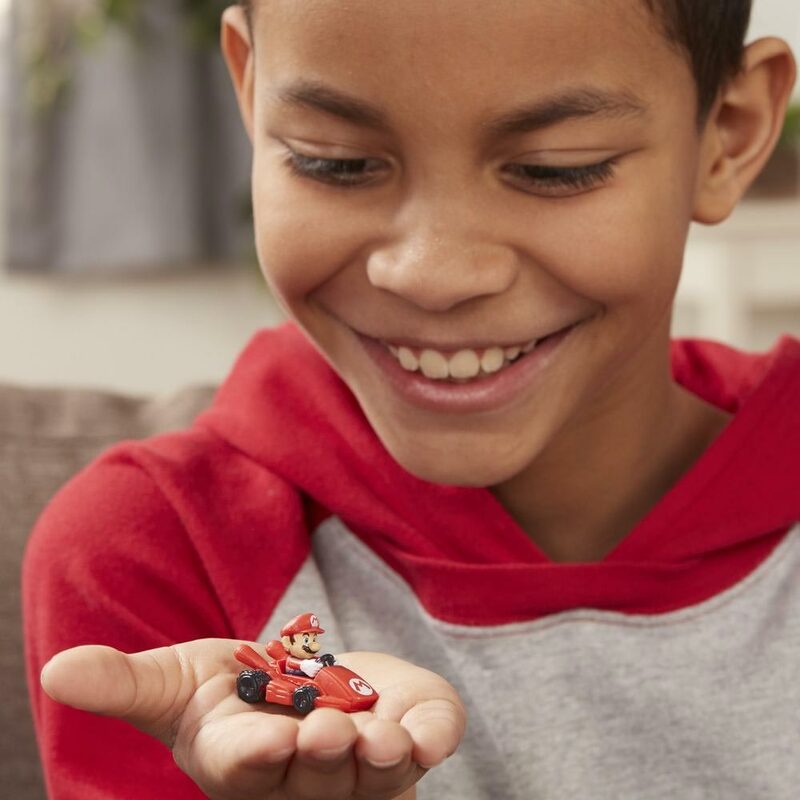 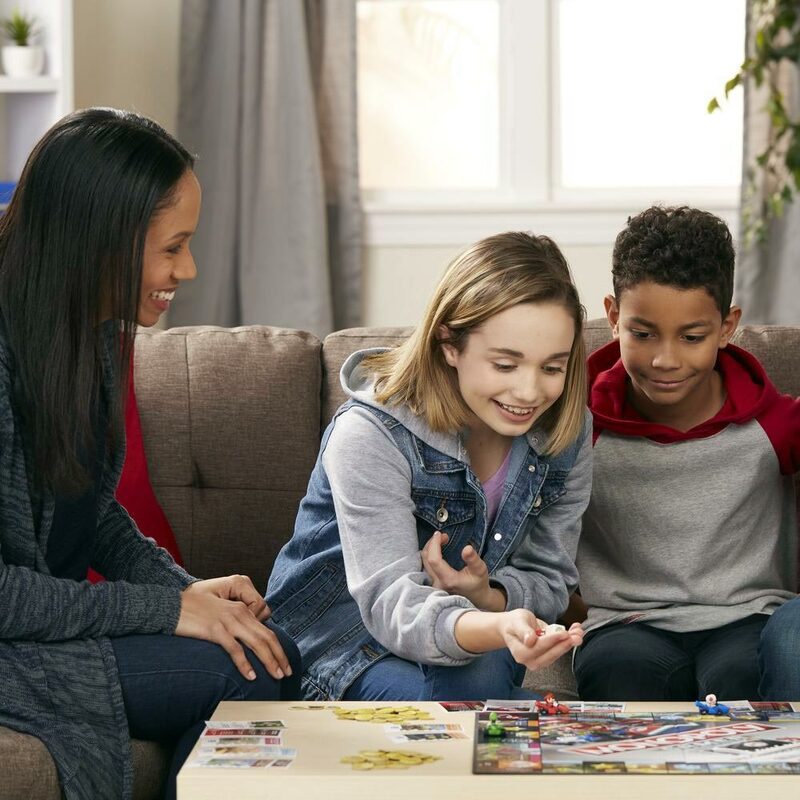 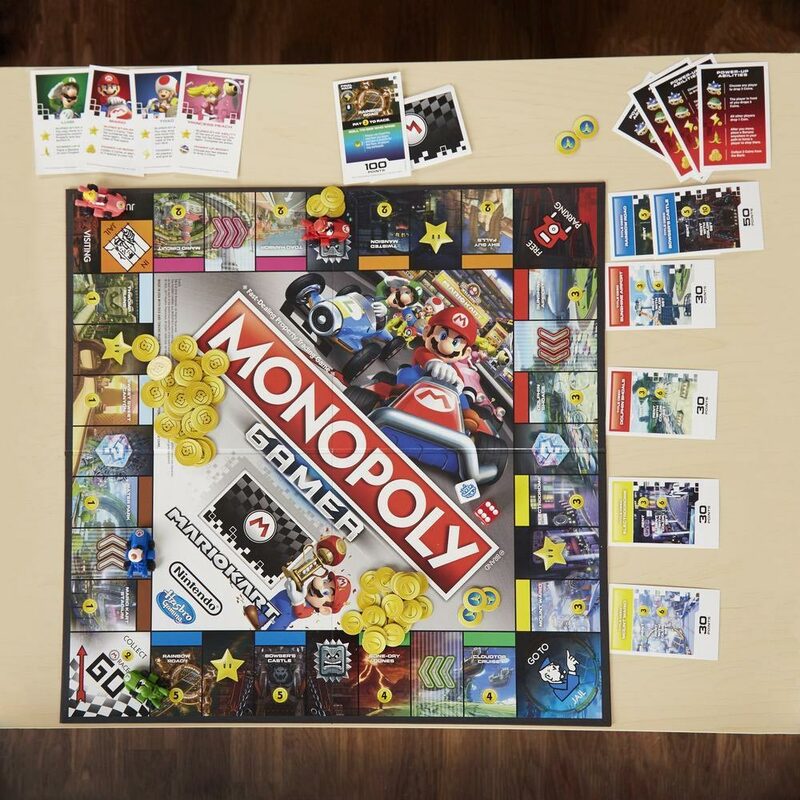 Monopoly Gamer: Mario Kart is a sequel to the wildly popular Nintendo Monopoly Gamer board game. 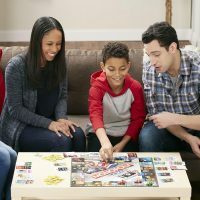 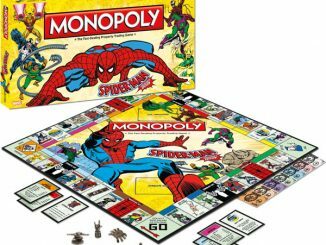 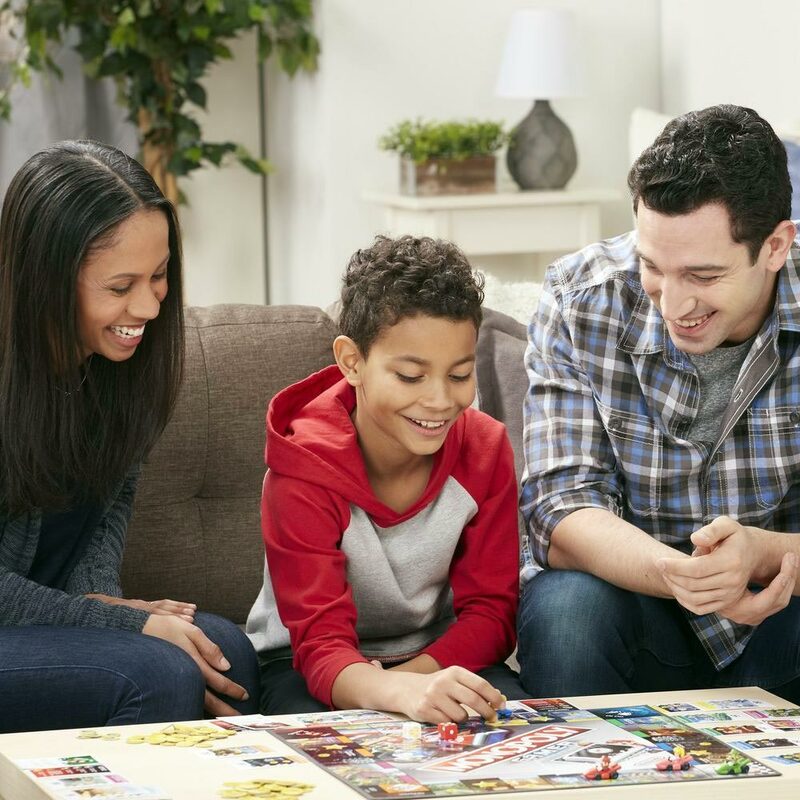 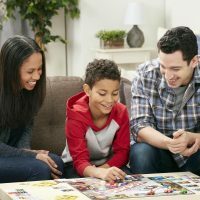 (Yes, just like movies and video games, board games can also have sequels.) 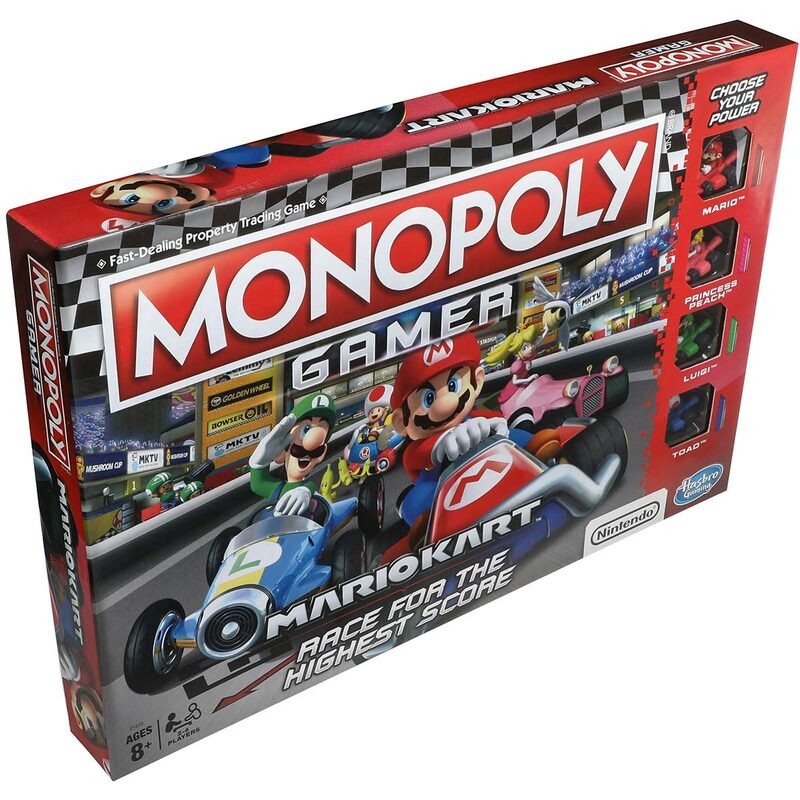 Unlike some Monopoly Games which just use different names and graphics with the same gameplay, Monopoly Gamer: Mario Kart is quite different. 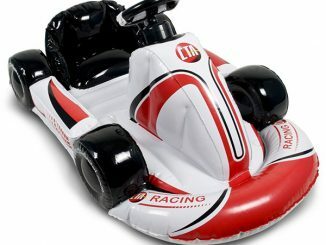 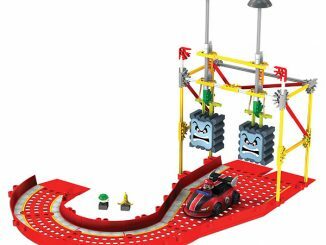 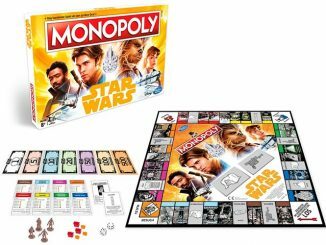 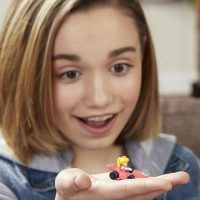 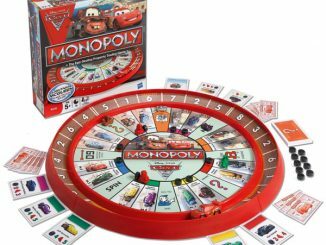 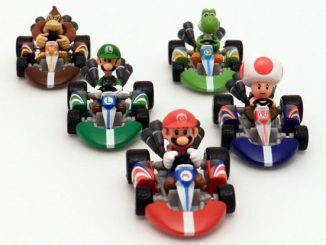 It is basically a fusion of the classic board game and Mario Kart, and the object of the game is to win races. 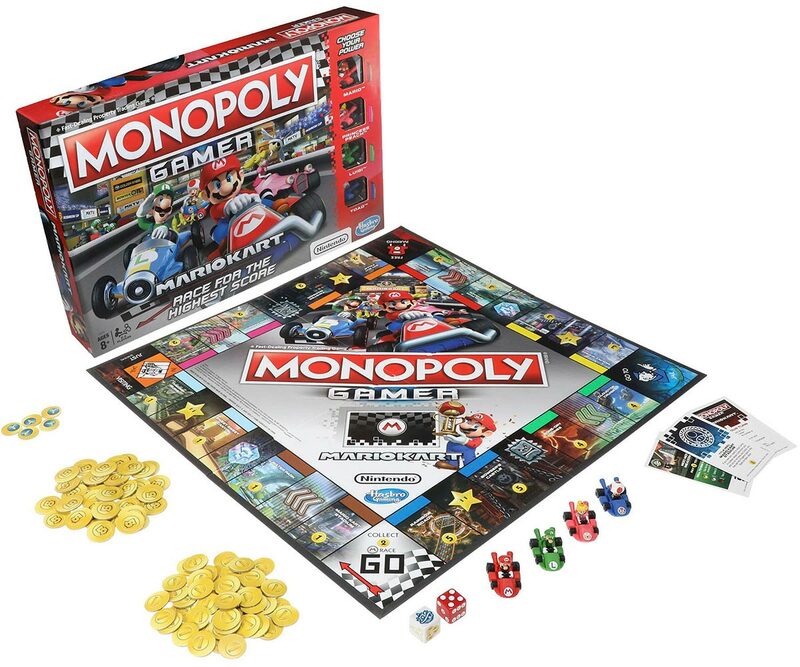 Passing GO triggers a race where you can toss shells, dodge banana peel tokens, and collect coins. 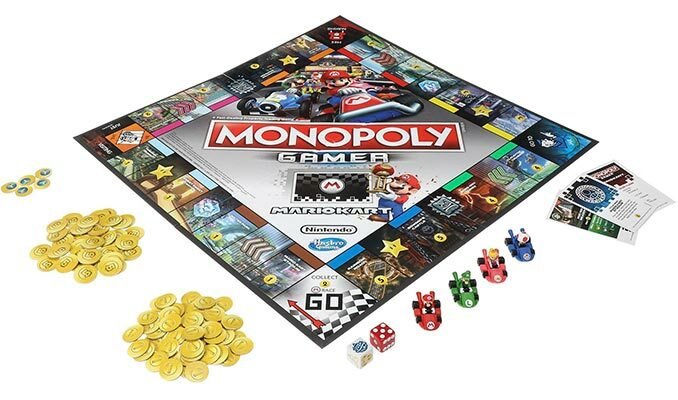 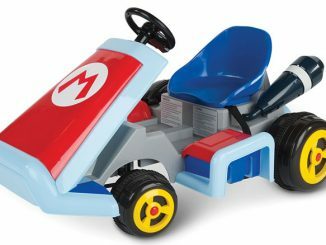 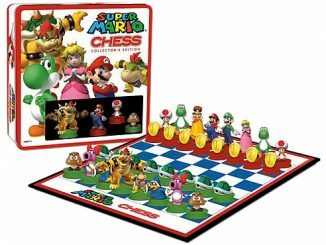 It includes 4 character tokens (Mario, Luigi, Princess Peach, and Toad) and includes 16 properties such as Rainbow Road and Bowser’s Castle. 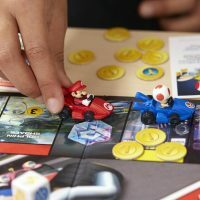 Win the game by having the highest score when the final race ends. 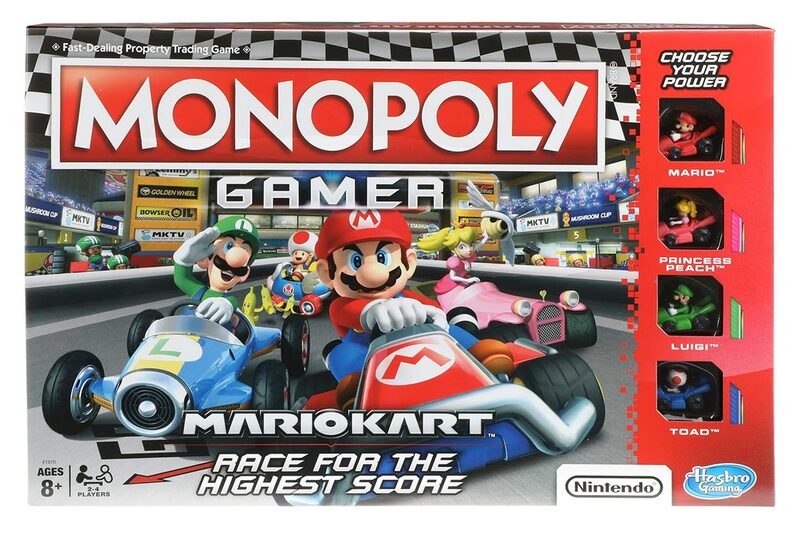 Monopoly Gamer: Mario Kart is currently on sale at GameStop for $23.99, which is 20% off the regular price of $29.99. It is also available at Think Geek and Game.co.uk.